HandiTheatre Inflatable Outdoor TV screen is a hot sealed screen, which means it is completely silent during your movie or presentation. Simply fill the screen with air – it only takes a couple of minutes or so. Use the two-way valve and supplied handheld blower and then top up the frame as required using the one-way valve. The screen features removable screen surface. Unzip it and wash in the washing machine on gentle cycle if it gets dirty. 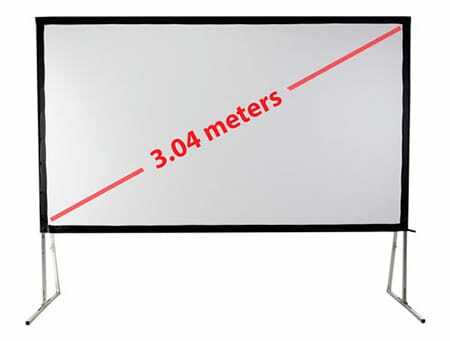 Viewing area is 3m wide and is great for up to 150 people. 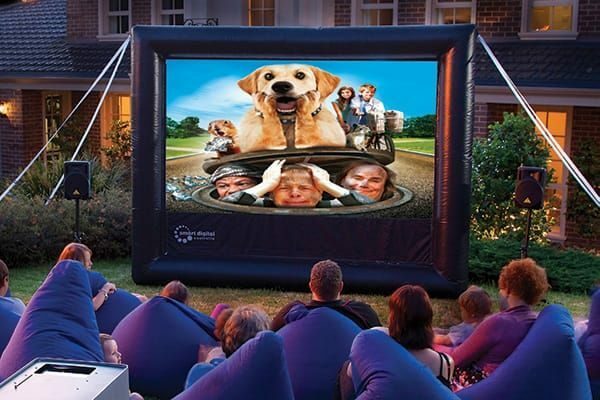 This inflatable outdoor TV screen is lightweight, which allows you to move it around. Moreover, you can take it indoors if the weather changes. For complete portable outdoor cinema package, check HandiTheatre Pro Cinema.